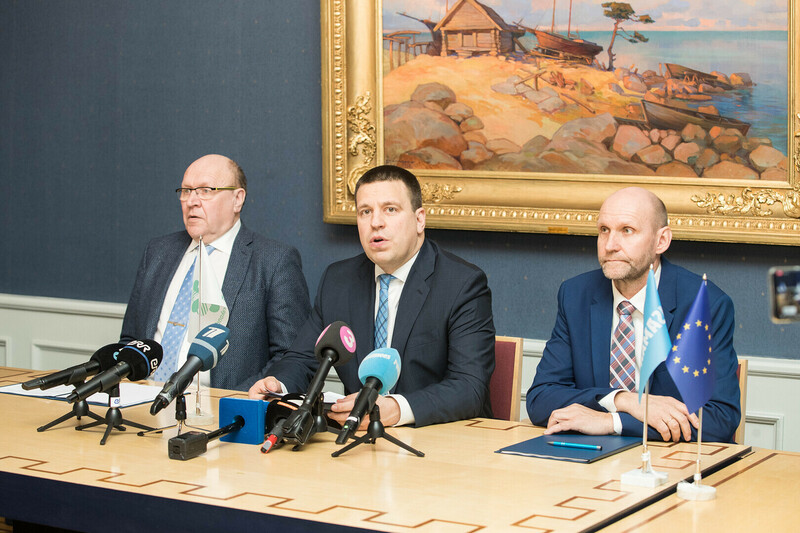 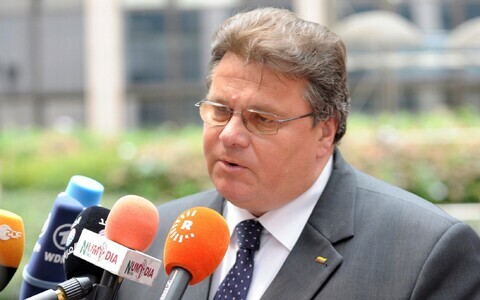 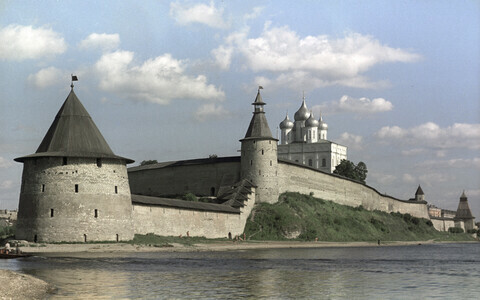 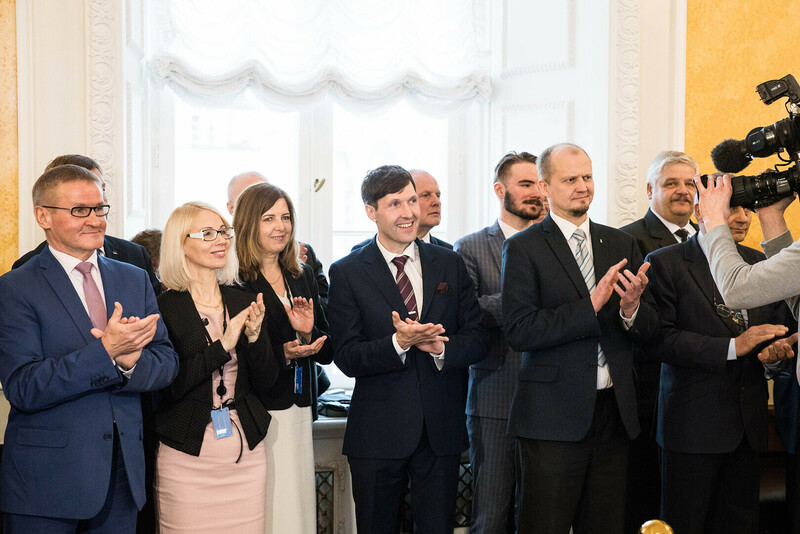 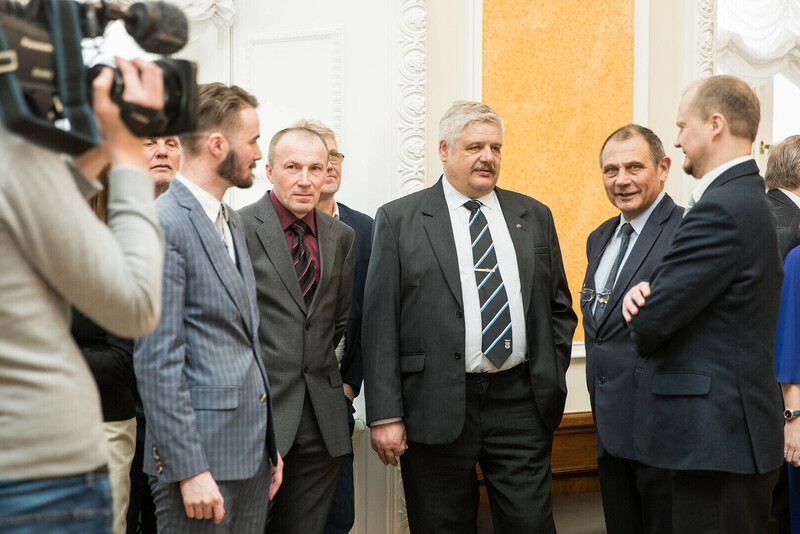 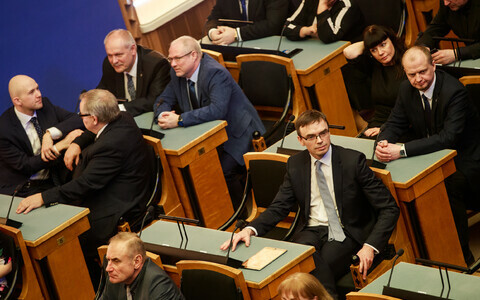 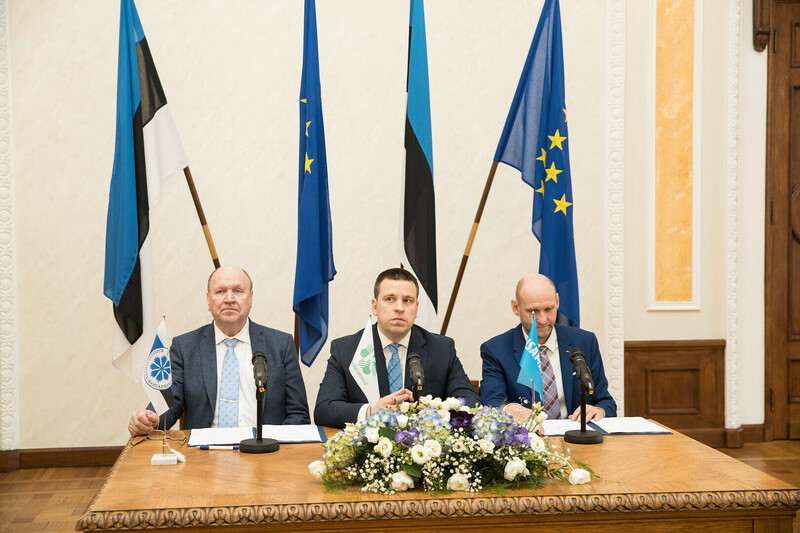 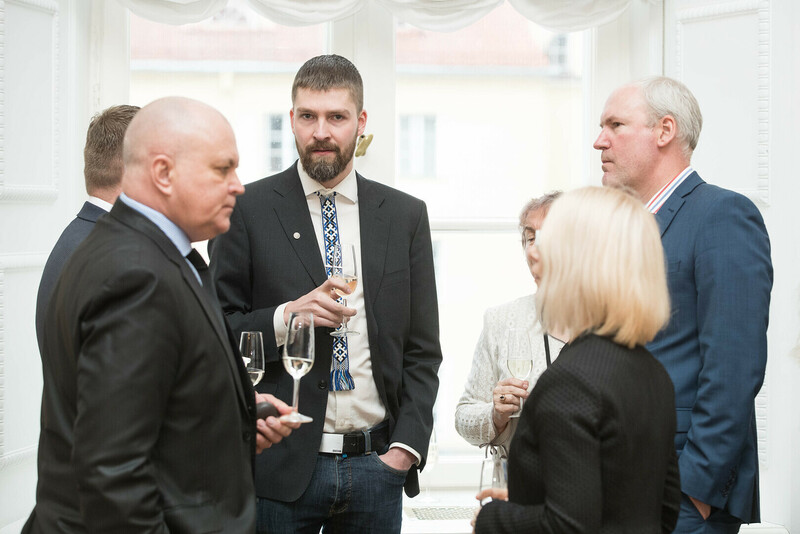 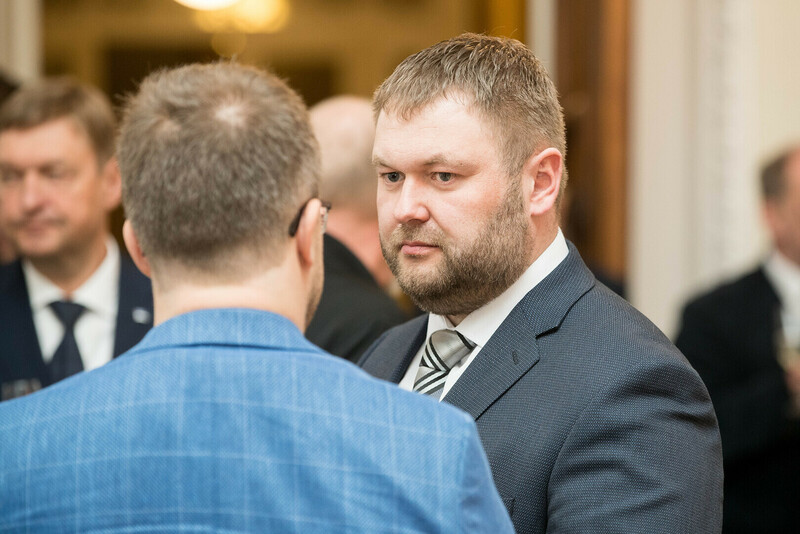 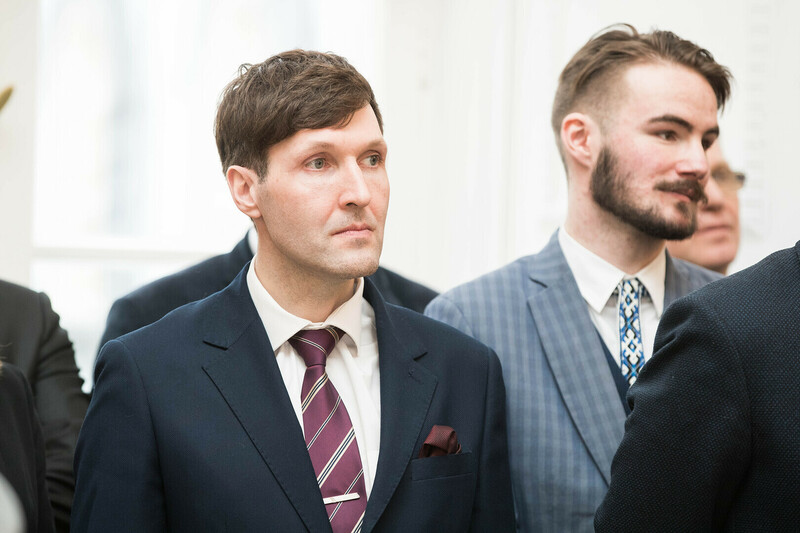 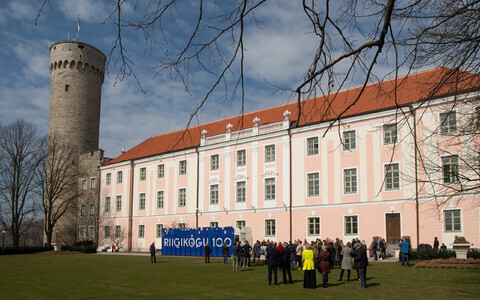 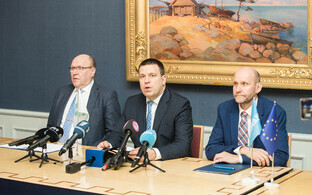 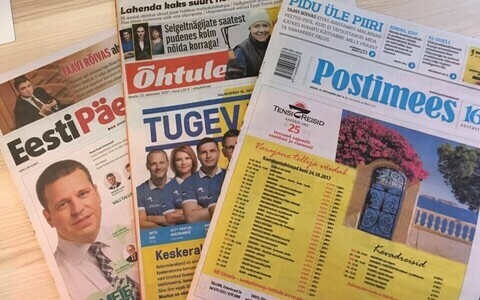 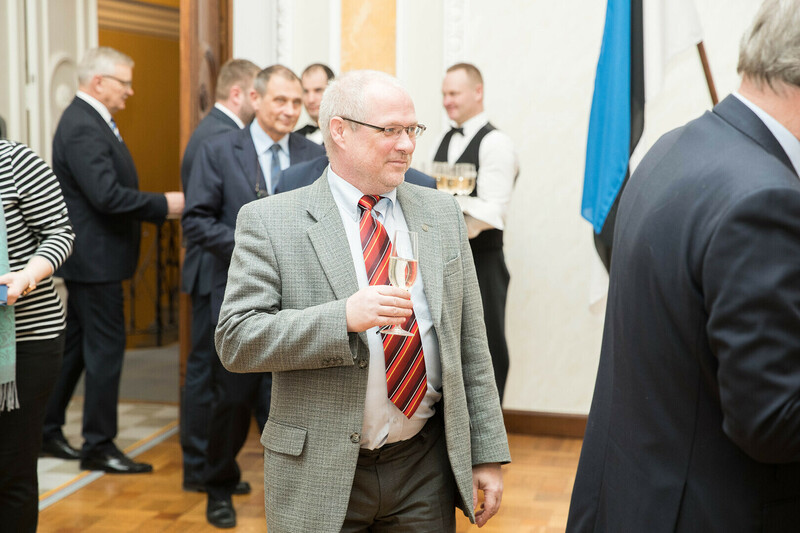 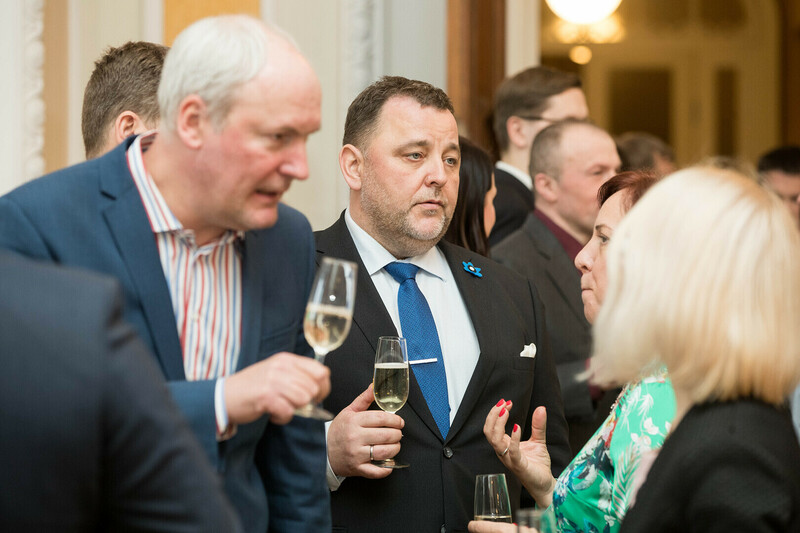 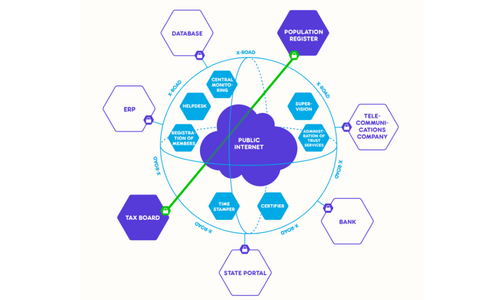 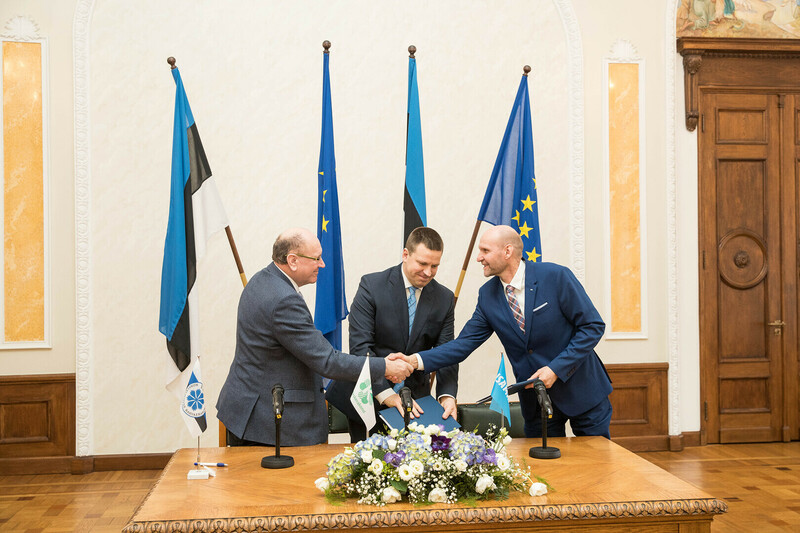 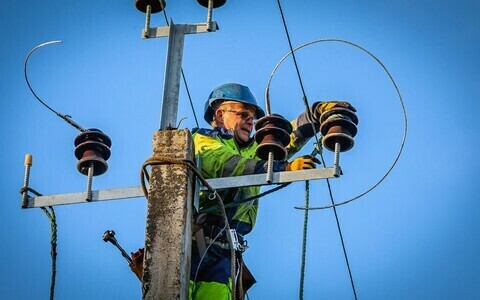 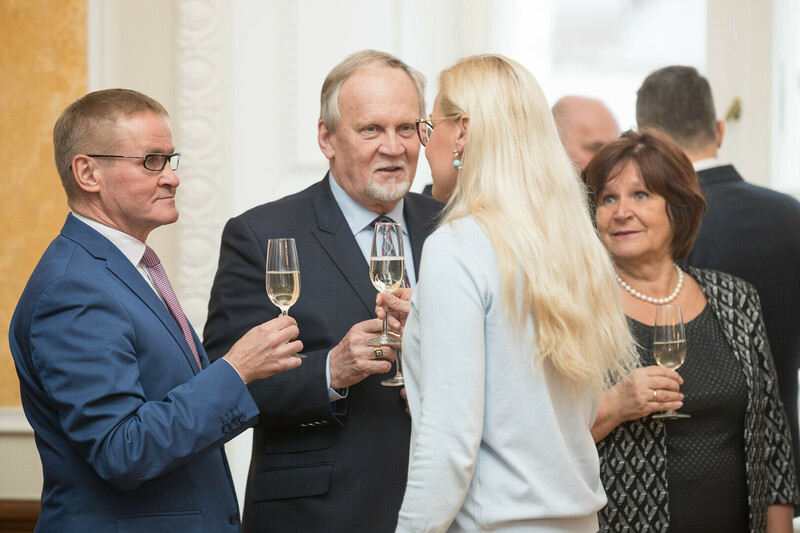 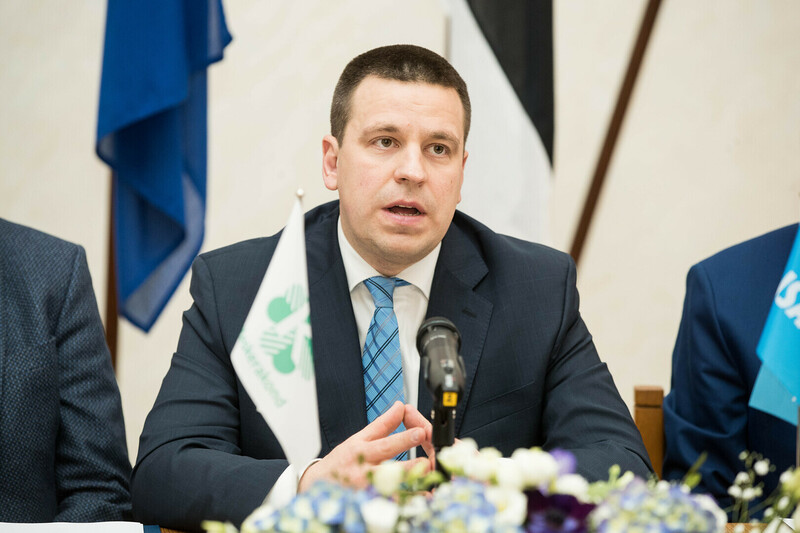 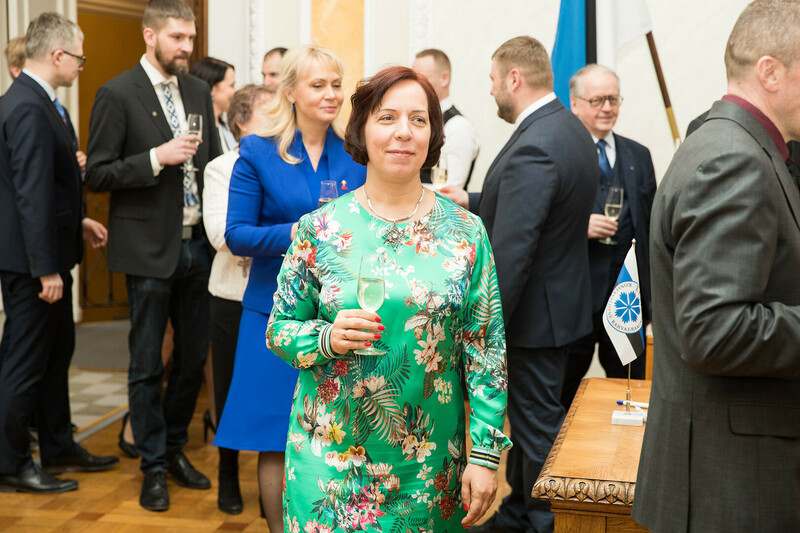 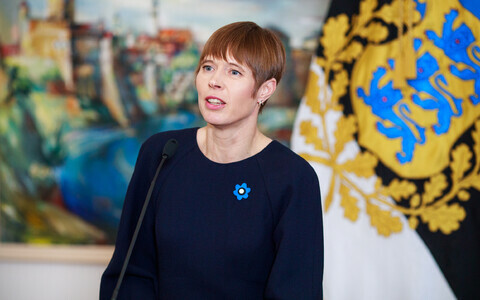 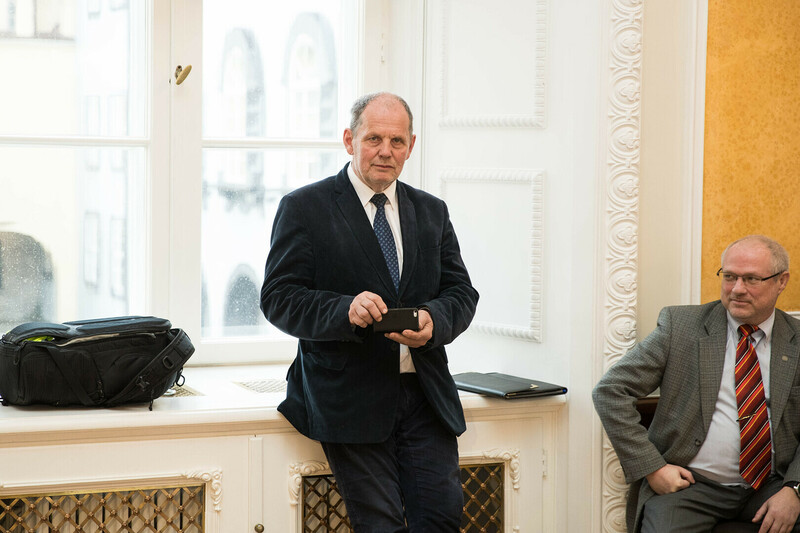 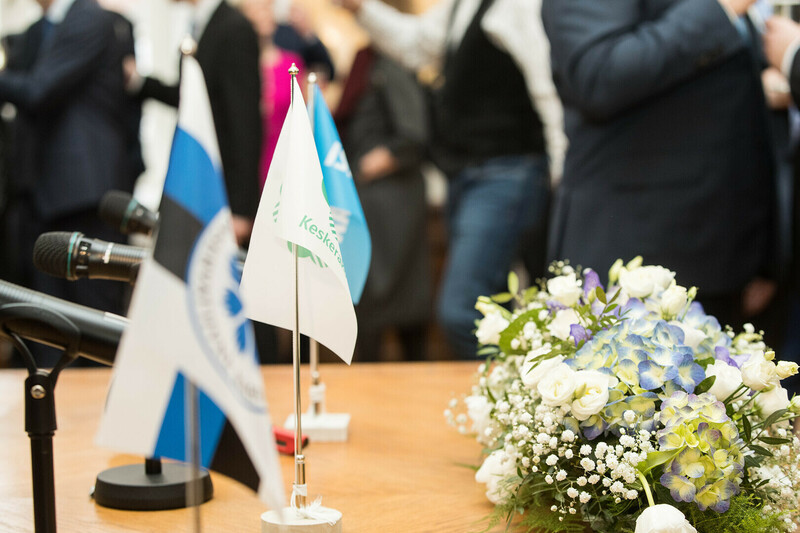 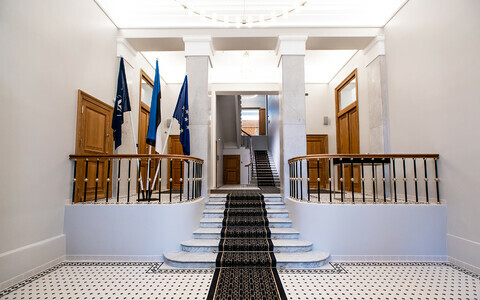 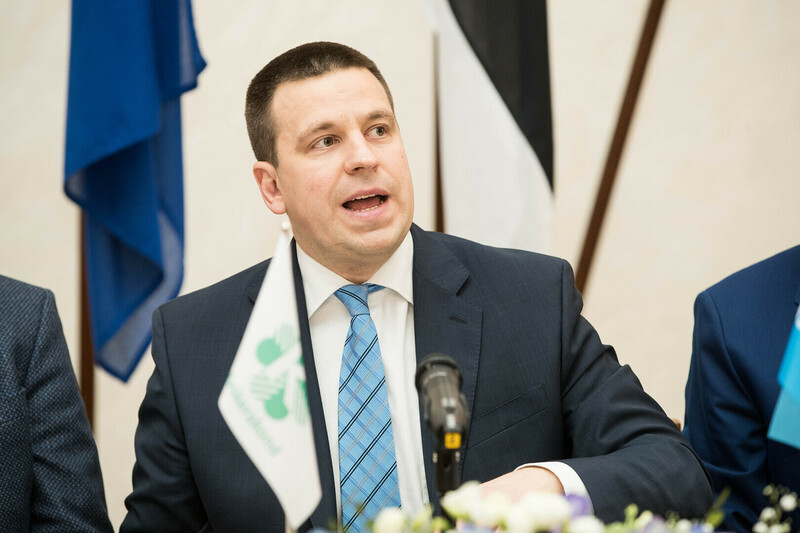 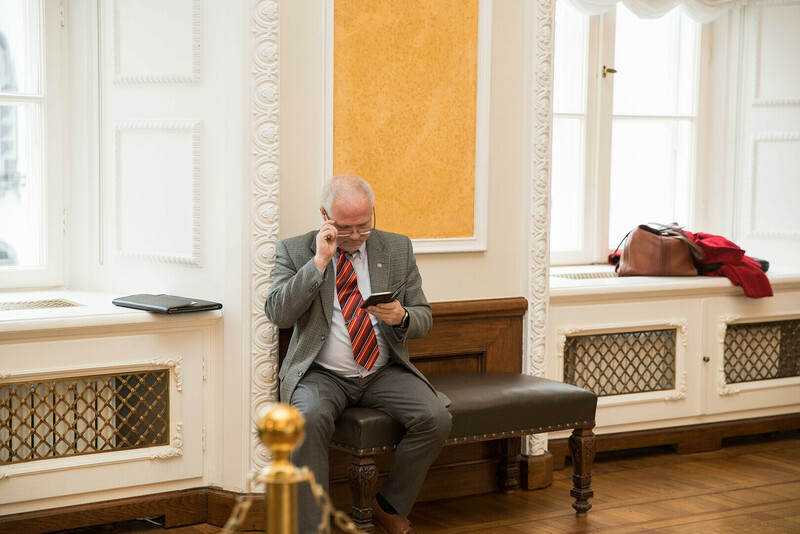 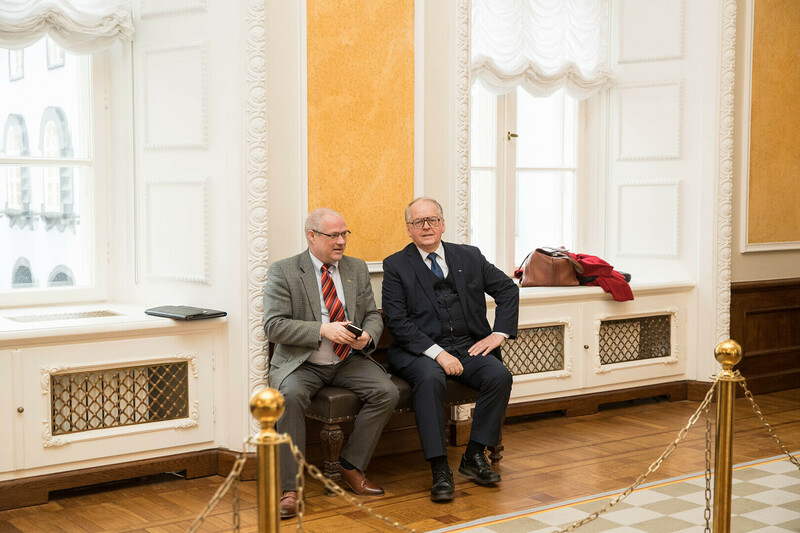 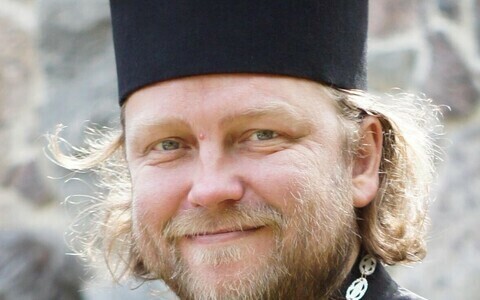 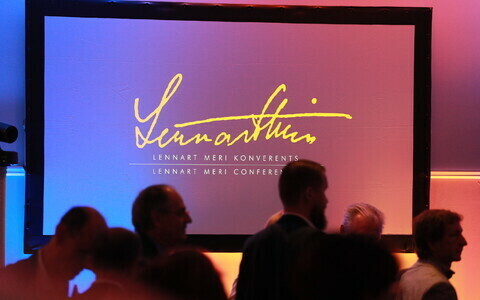 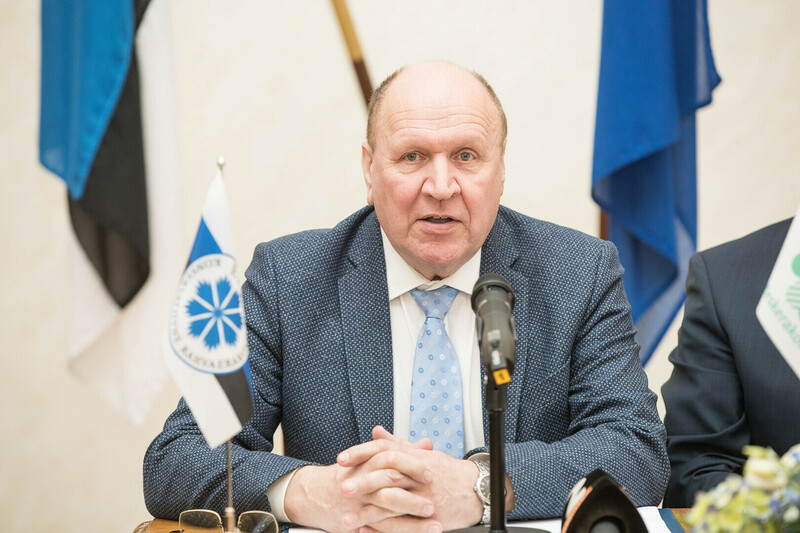 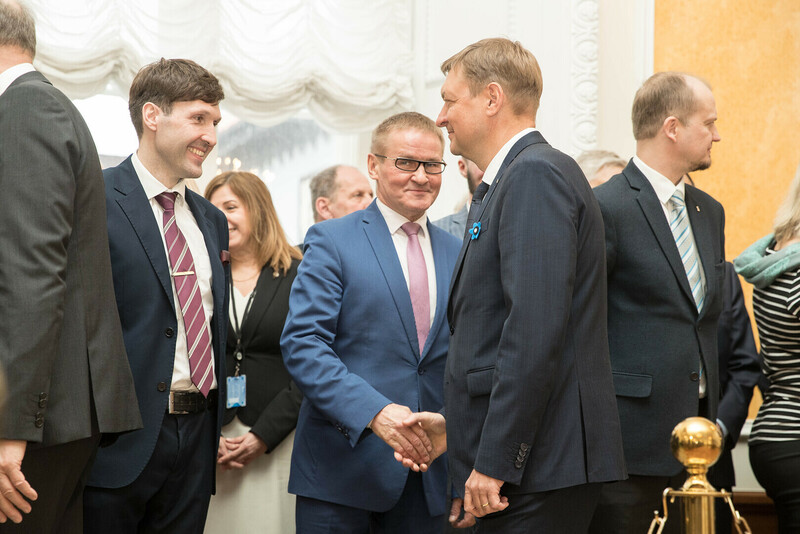 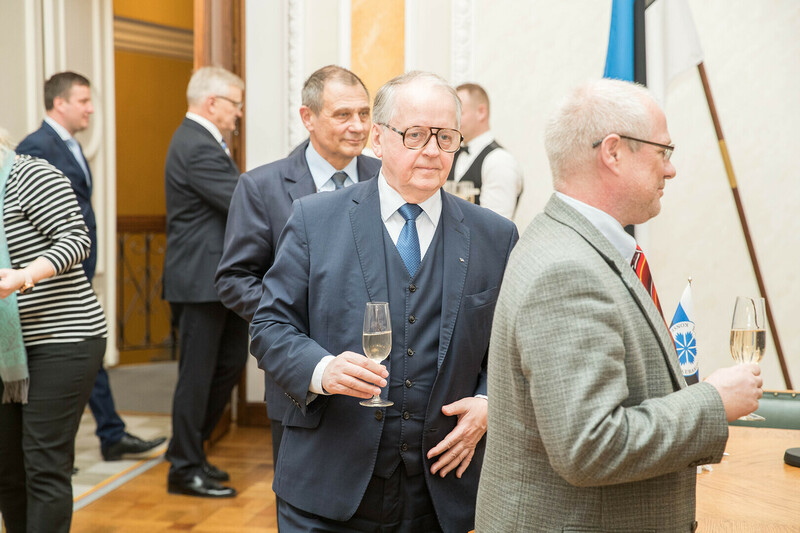 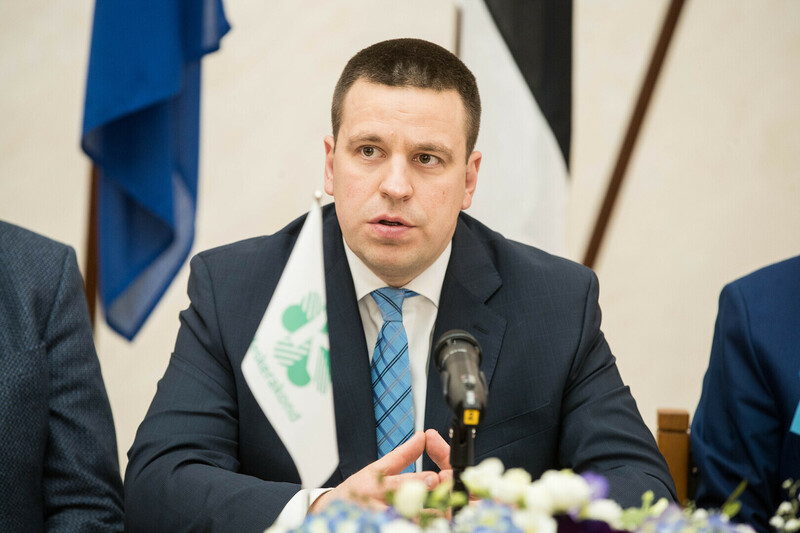 The tripartite coalition consisting of the Centre Party, the Conservative People's Party of Estonia (EKRE) and Isamaa, signed their agreement on Monday, in front of the press in a ceremony starting at 13.00 EET at Toompea castle, ERR's Estonian online news reports. 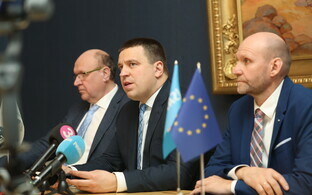 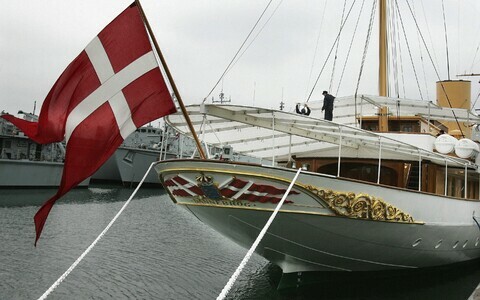 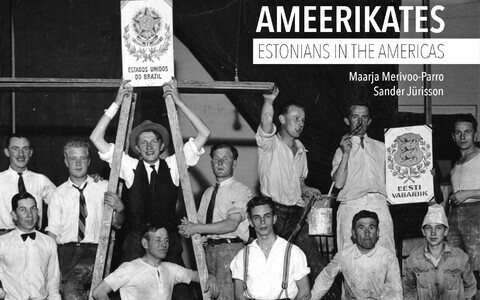 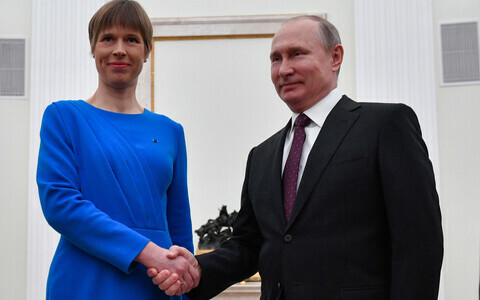 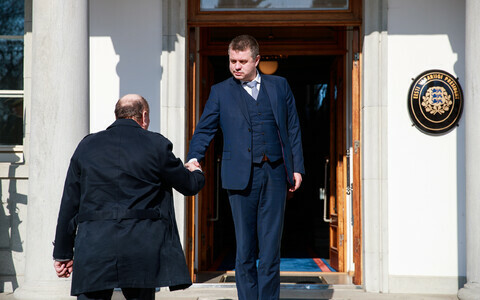 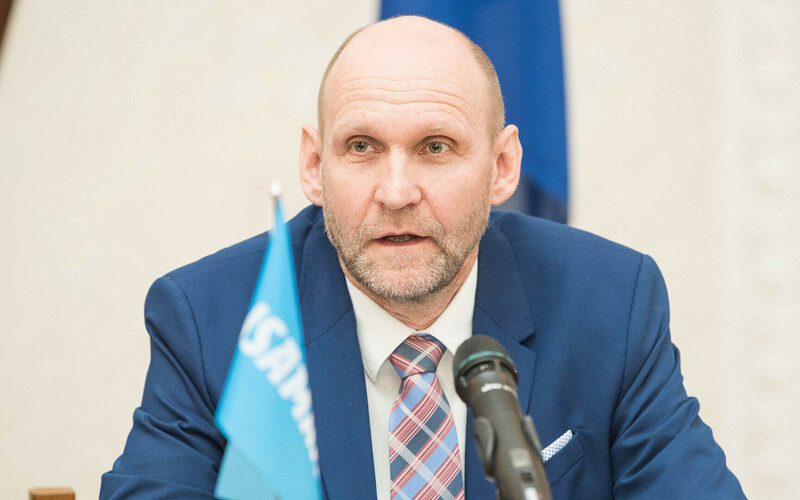 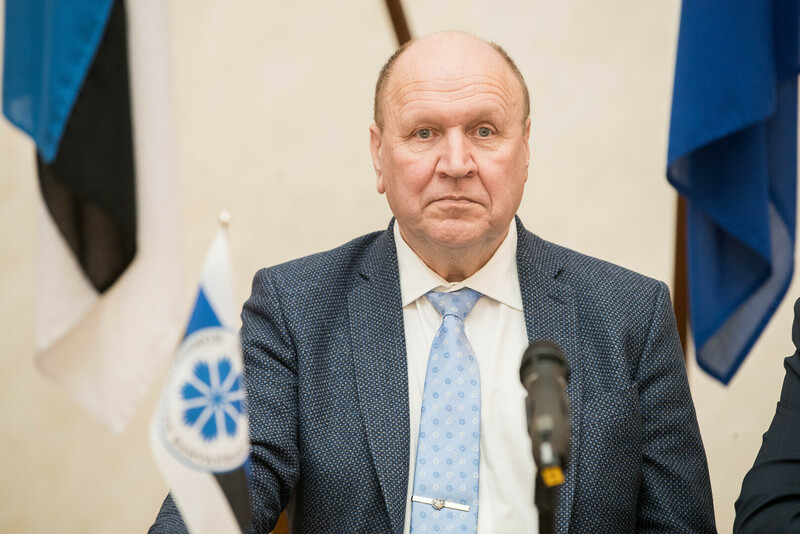 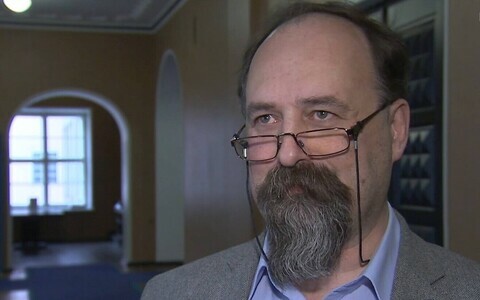 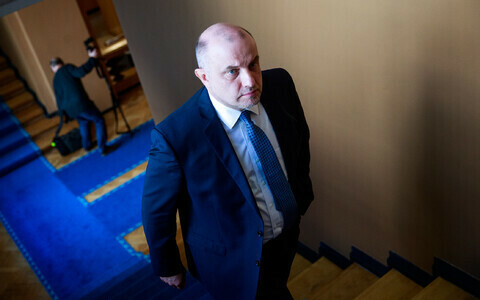 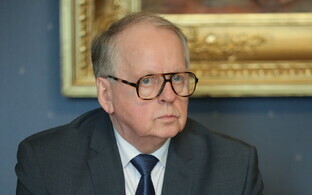 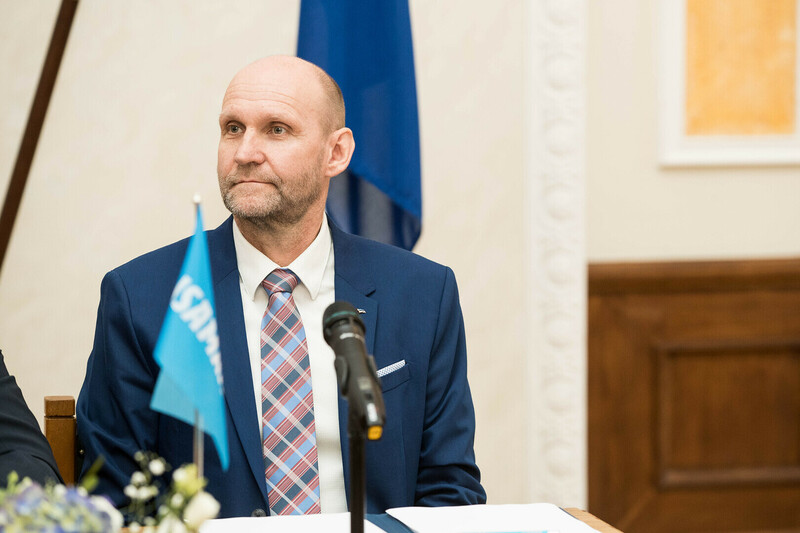 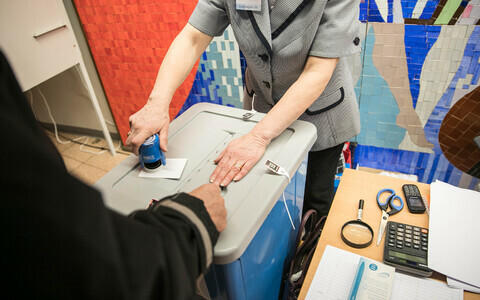 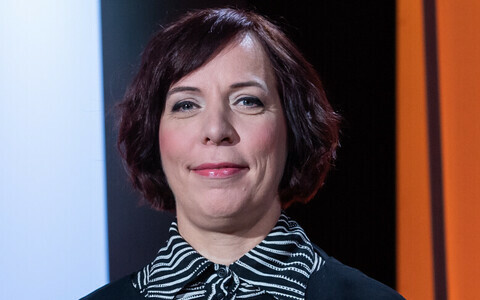 The event followed over three weeks of negotiations following the 3 March election, where Centre won 26 seats, EKRE 19 and Isamaa 12, giving the proposed coalition a total of 57 seats* and thus a Riigkogu majority. 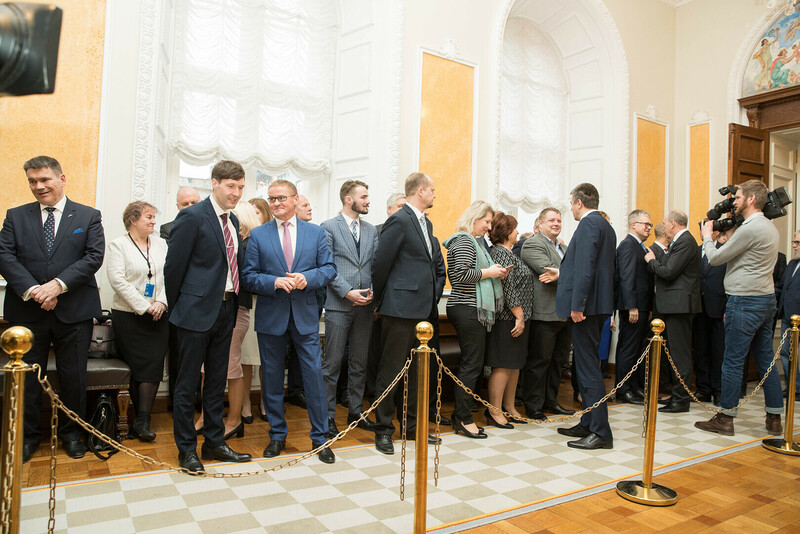 The extended boards of all three parties also met on Saturday, in separate locations, to unveil the 40-page agreement, and to announce the five ministerial appointments which each party would have, if the coalition came to fruition. 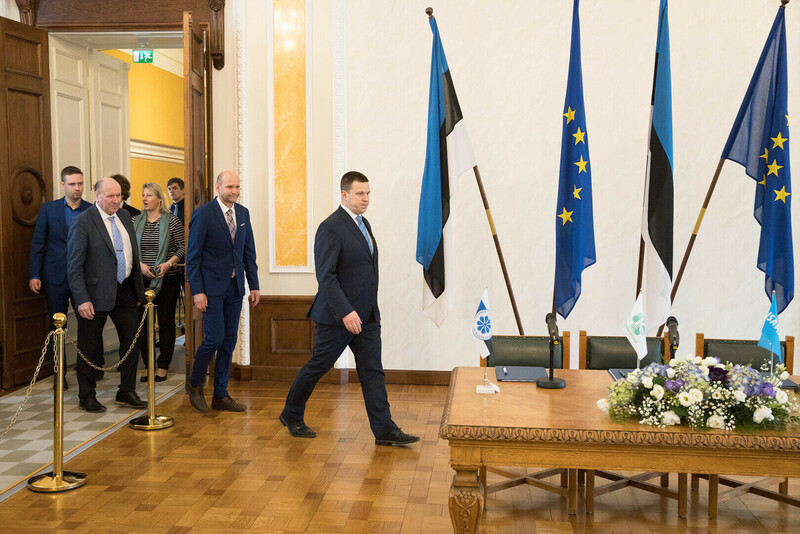 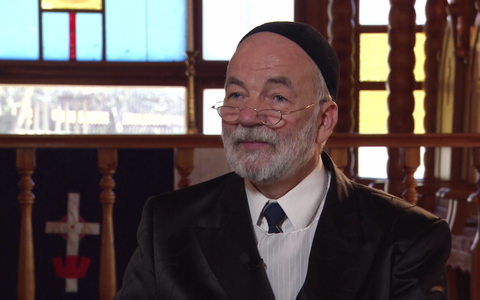 According to some media reports, EKRE and Isamaa got a considerable amount of their demands into the agreement, including on social and pension reform issues. 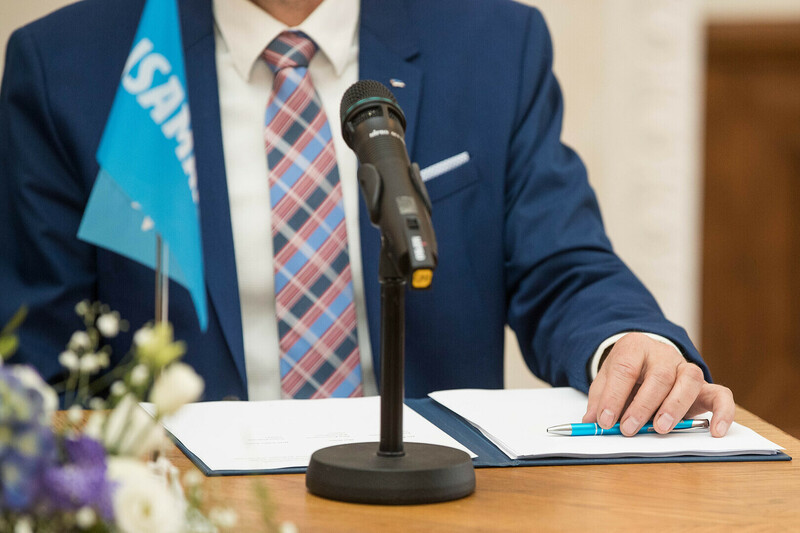 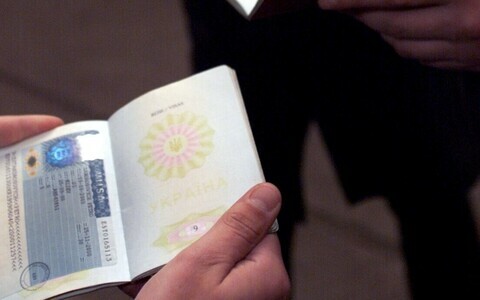 However, the signing of the agreement is only the first stage in the procedure. 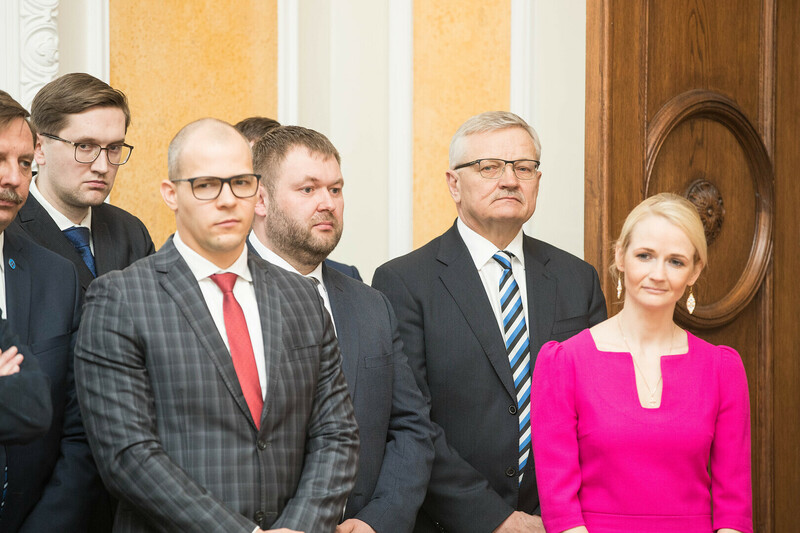 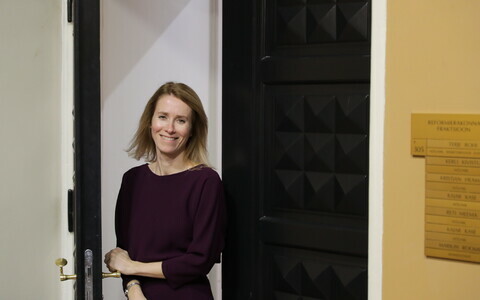 First of all, Kaja Kallas, Reform leader, nominated prime ministerial candidate by President Kersti Kaljulaid on Friday, is to assemble her own coalition lineup which, with the only other party to have Riigikogu seats, the Social Democratic Party (SDE) would make just 44 seats. 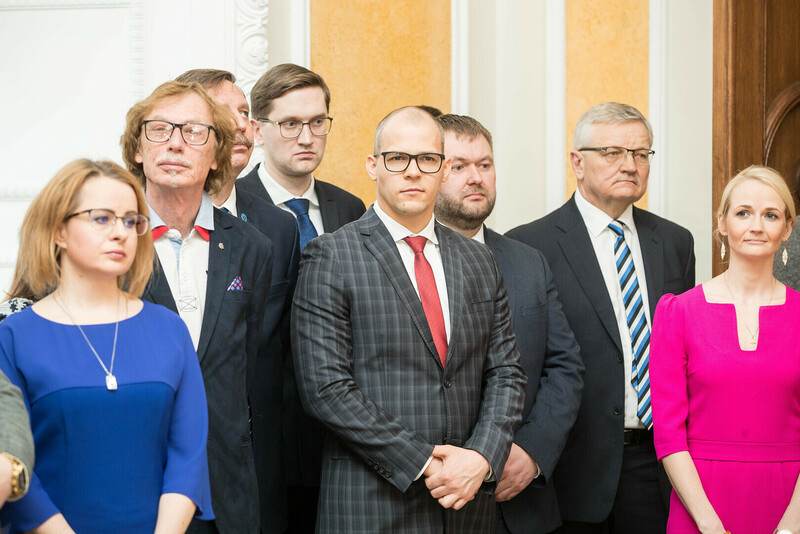 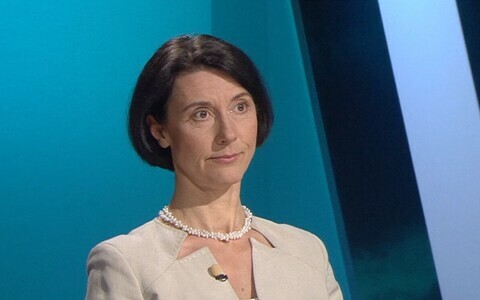 Ms Kallas says she will have her provisional coalition ready on 15 April, after which it will be voted on in the Riigikogu. 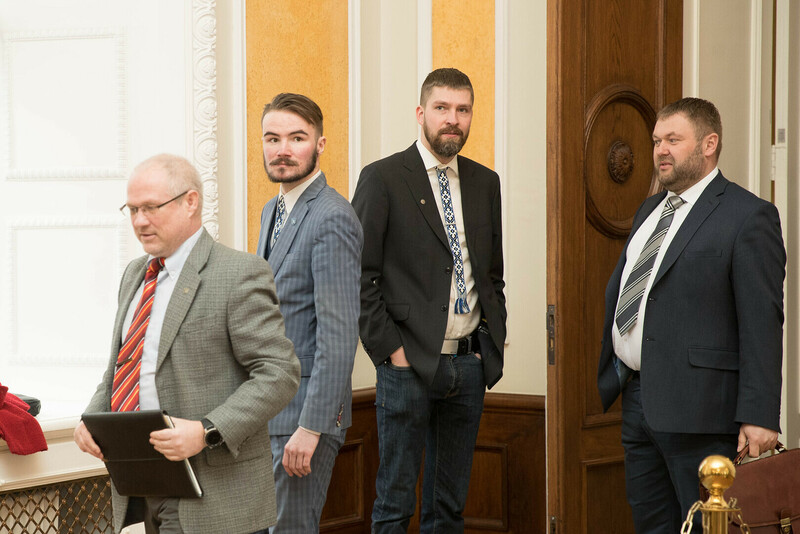 Only if this group fails to get a 51-vote or more majority, ie. 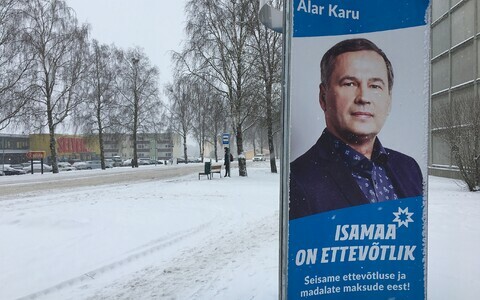 if an insufficient number of Centre and Isamaa MPs vote in favour of it and against their own parties, will the Centre/EKRE/Isamaa lineup then be put before the Riigikogu. 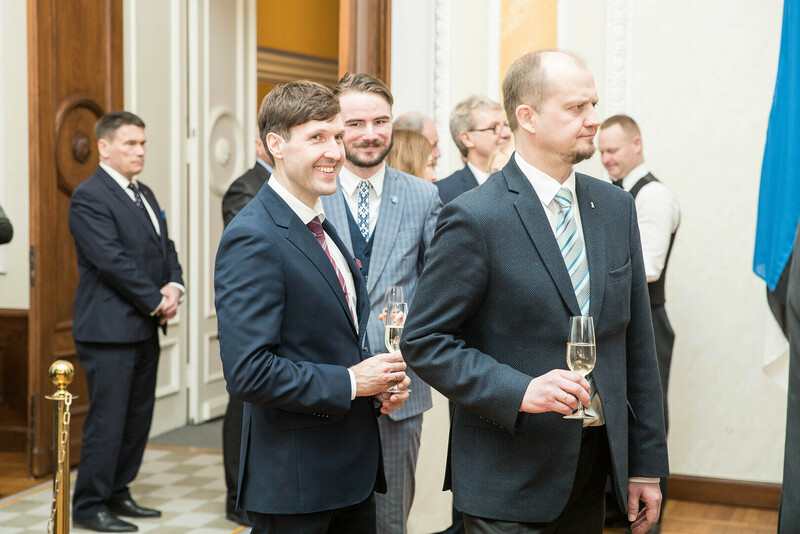 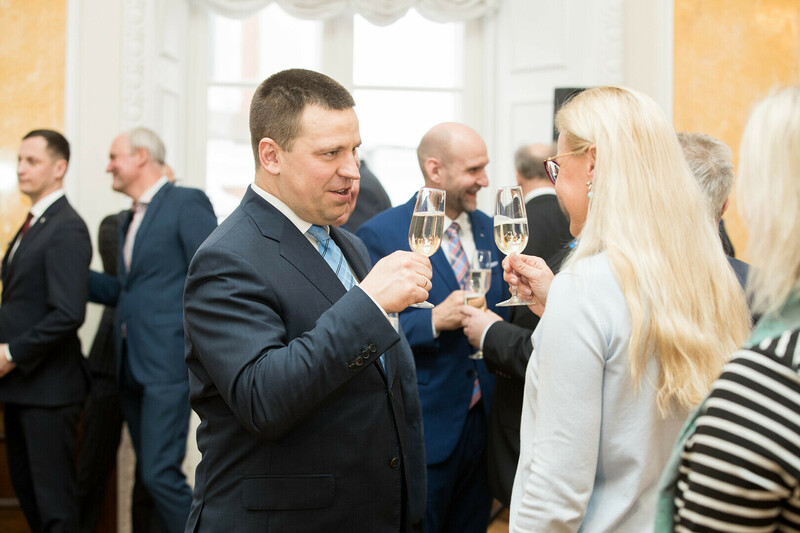 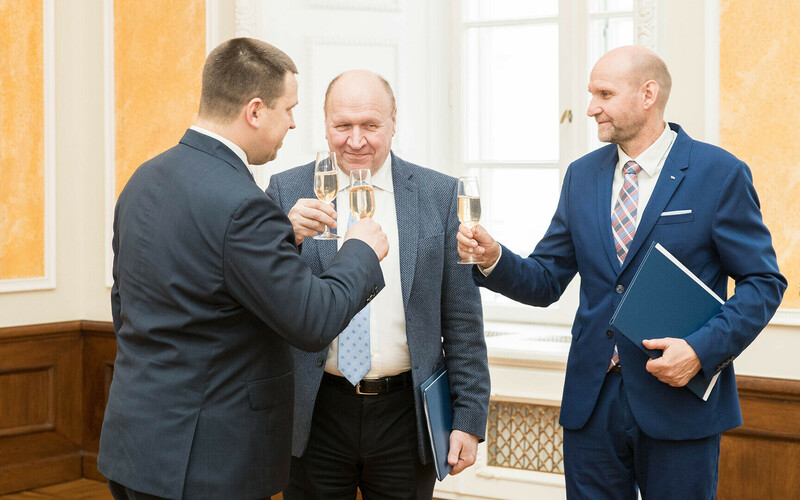 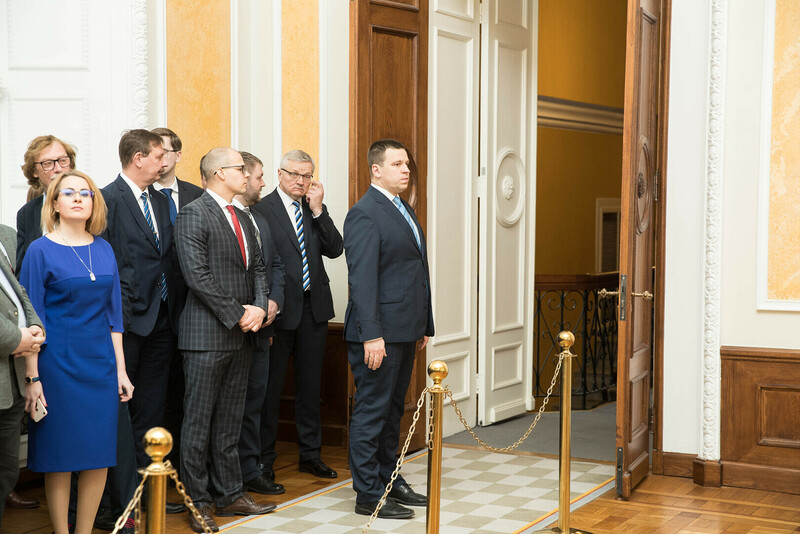 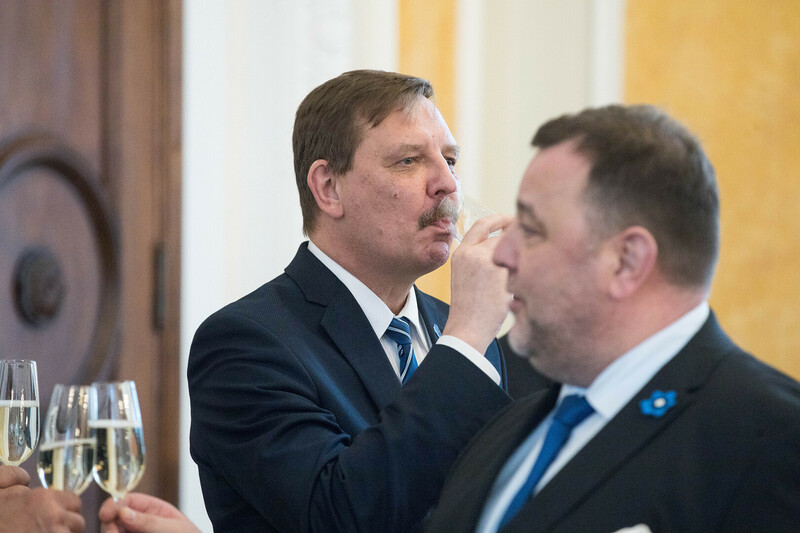 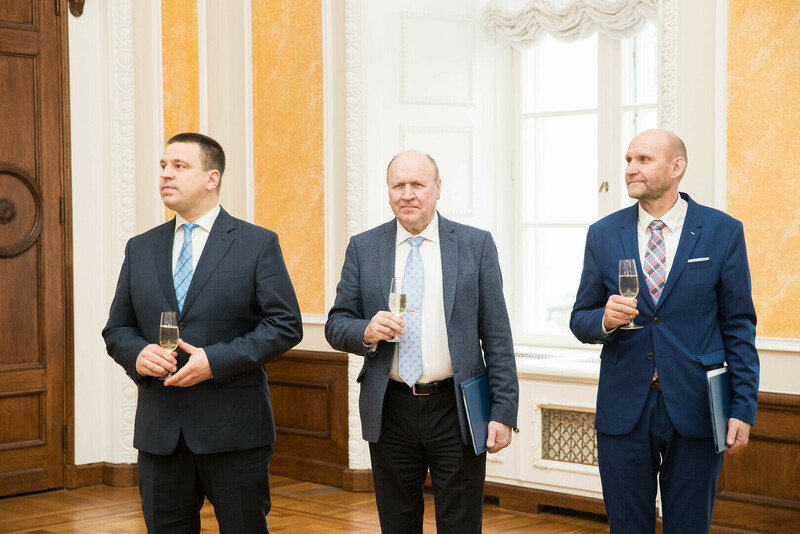 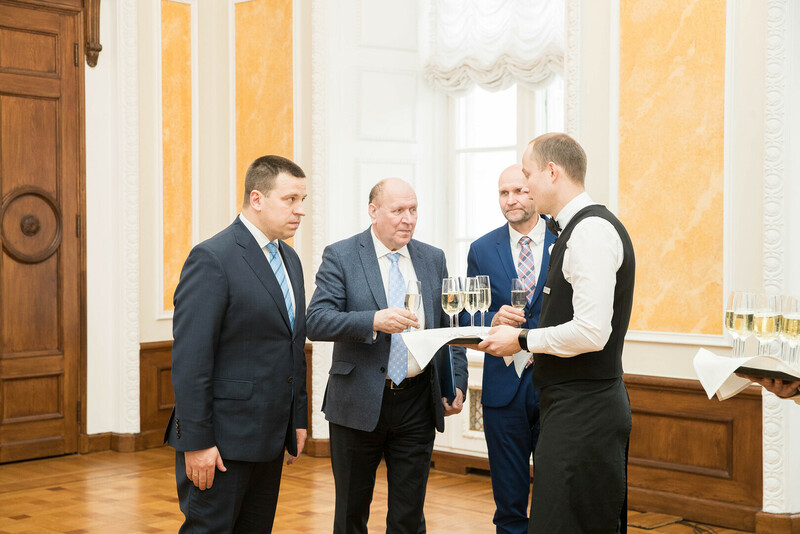 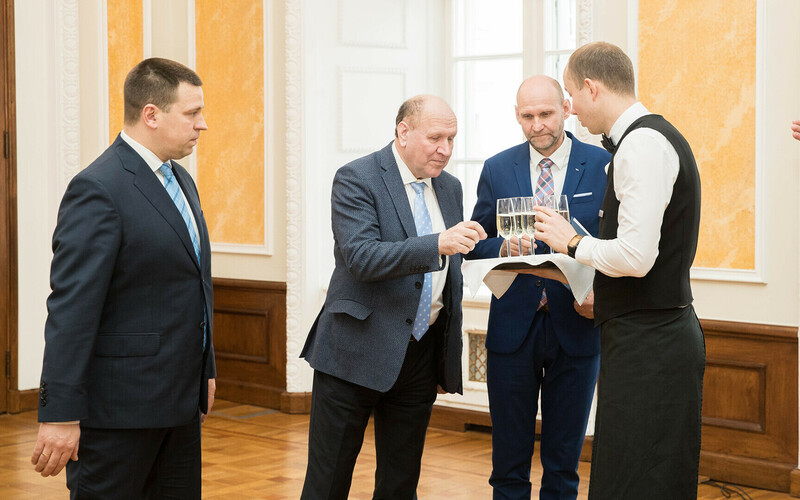 See the gallery above for the three party leaders, Jüri Ratas (Centre), Mart Helme (EKRE) and Helir-Valdor Seeder (Isamaa) signing the deal, with MPs and proposed ministers looking on, followed by toasts with, presumably, champagne. 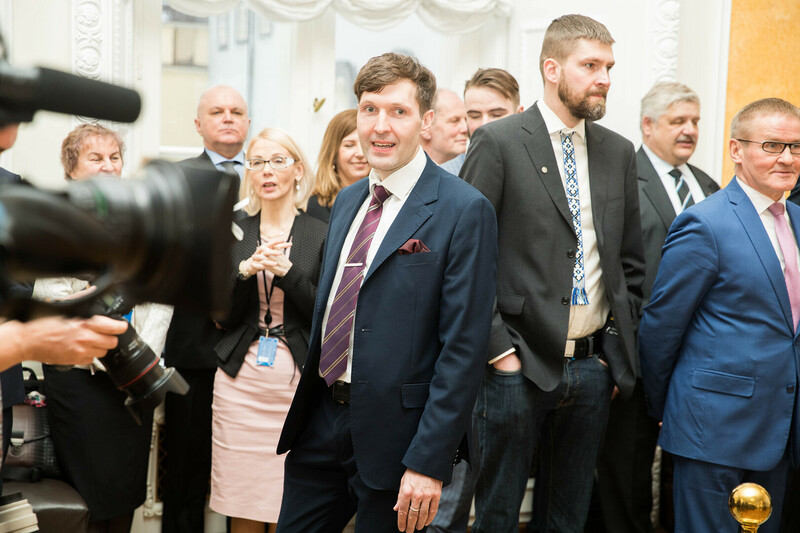 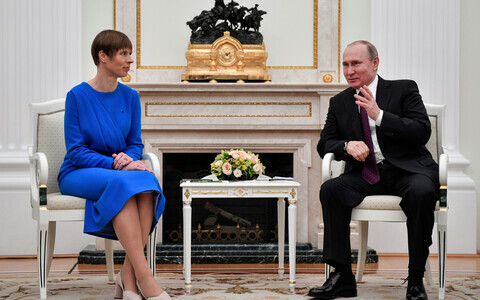 *Though now 56 following Raimond Kaljulaid's departure from the Centre Party on Friday.